Catherine de' Medici (pictured below left) was born in Italy in 1519 and at the age of just 14 was married off to the second son of Francis I of France, Henry, Duke of Orléans. 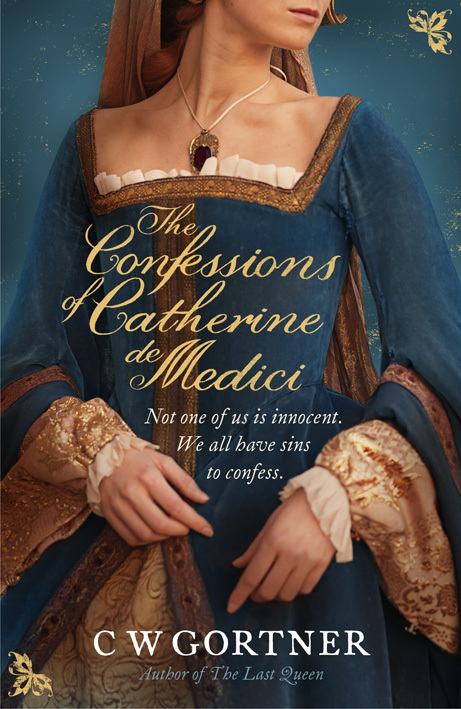 Catherine became Queen Consort in 1547, and C W Gortner writes about her life in this historical fiction novel: The Confessions of Catherine de Medici. 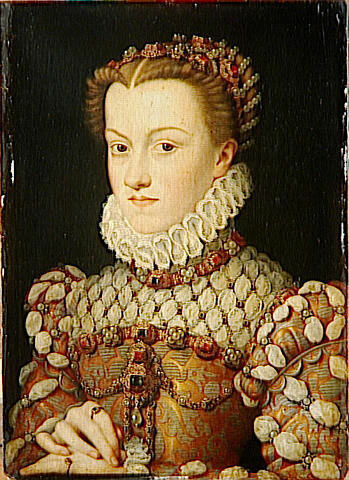 Catherine de' Medici has a reputation in history of being ambitious in her later years, and guilty of planning the massacre of St. Bartholomew in 1572, where somewhere between 5,000 - 30,000 Huguenots were killed in the streets of Paris. In The Confessions of Catherine de Medici the reader hears from Catherine in the first person and is privy to an entirely new perspective of history as we know it. We see a young girl orphaned, a woman whose husband loves another, a mother who cares deeply about her children, a woman who strives for peace and who becomes Queen Mother to three French Kings. Author C W Gortner succeeds in lifting the French Wars of Religion from the history books and bringing it to life through Catherine de' Medici's eyes in The Confessions of Catherine de Medici. I thoroughly enjoyed this novel, with all of the blood, betrayal and lost opportunities that leave this reader wishing she could change the past. C W Gortner is exceptional at bringing to life the stories of the women he chooses to focus on! Thanks Marg, I completely agree!